Should I stage my house for sale? Is it worth staging my house for sale? I think this is a very common question sellers ask themselves and their realtor before listing their home on the market. They may research and read that staging does pay off or that it does get them more money for their house but they want to know is how do they really know if it does. They are usually spending anywhere from $2,000-$20,000 depending on the size of the house or quality of the stager. I will explain why staging does pay off but not to spend tens of thousands on staging. I stress staging because I have seen the difference of staging vs vacant homes. I personally as a Realtor, stage for my clients for me, as I have invested buying staging furniture in my business as a service to my clients because I know the difference it makes for the price they sell it for and also the amount of time the house is on the market. 3. Decluttering your home – this is staging. You are staging your home by putting away things you would normally have it. When you are selling a home, you are not selling a home by showing it as how you live. You are selling a home like a product. If your home is a product you never to present it as one. Just like if you were selling a car. You won’t have the tissue box in the backseat, your child’s carseat strapped in, or your side console full of papers. No you would have that car spick and span, freshly driven through the car wash and ready to go. That is how you need to treat a house for sale if you want to get the most money. By staging house not only helps you get more money for the house but also saves you time. Vacant homes are hard for people to see their furniture in. Unfortunately not all buyers have a vision, they need examples of where furniture goes in order for them to see their own furniture there. They might not put their furniture in the same place the staging furniture is but they need to see that it is possible. Good staging is also a neutral palette. The reason for this is because you are trying to attract as many buyers as possible. People are more likely to be ok with a beige or a white then an orange or lime green. They want to feel comforted in a home when they walk in. They want to see flowers, beaches, and waterfalls. My absolutely favorite staging piece is a fake orchid. They bring so much color and warmth into a room, it really makes a difference. Prime example of why staging works. 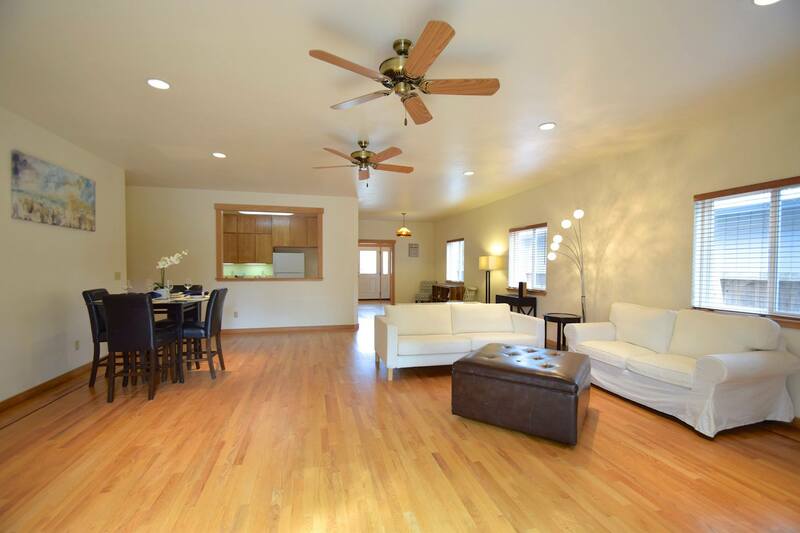 We had this beautiful home on the market with stunning cherrywood floors. The owner had moved out and did not want any staging in the home because he was worried the furniture would scratch the floor. We tried to convince him but he was admit. We respected his wishes and put the house on the market vacant. This home had a ton of exposure and multiple showings for the two months and no offers. It was priced right and people had agreed but a lot of buyers just felt this wasn’t the house for them. This house had a unique layout and had a great room for it’s living space. 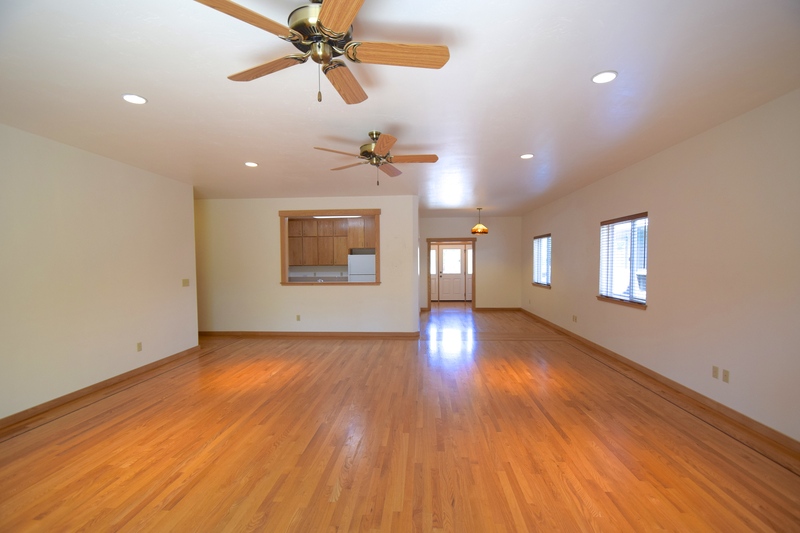 It was a beautiful open floor plan but no one could see the potential that this room had. It could be a living room and dining room in one. It just needed to be defined. Instead of staging the home, the seller opted for doing a price reduction. This again brought a flood of buyers to see the home but no offers. We stress to the seller how much staging helps buyers envision spaces that might not be so easy, especially open floor plans. A lot of time these spaces can feel cold and sterile. By staging them it helps warm the place up and can also help buyers envision their furniture or what they would use the room as. It makes one room turn into multiple. Time continued on and After a couple months with showings every week but no offers, the owner finally gave in to us staging the home. We brought in mirrors, couches, a dining set, canvas pictures, lamps, and more. We staged this great room as two spaces. Buyers finally were able to envision this beautiful house as a home. After one week of staging the property, we received multiple offers on this so called ‘stale’ listing and sold the house! If the seller had staged the house earlier, he could have saved on the mortgage payments he was paying while the house sat on the market and would have mostly likely gotten the original price he was listed at. When buying a home, it is usually an emotion decision and all buyers, even investors, go off how they feel when they step into a house. If the house feels cold you don’t want to be there let alone live there. Staging warms the house and creates a good feelings to buyers. People are visual and if they like what they see they will like the house. It is all psychologic. This is the philosophy we think about when listing a home. Not only with staging but when we market the home. You had to know your audience and the buyer demographic of the home your selling in order to do an effective job. Marketing is going off your target audiences feeling and staging is a part of marketing your home. If you don’t have a lot of money to pay on staging just try and declutter. Take the advice of your realtor. They are the experts and do this for a living, they know what potential buyers are looking for. Do not get offended because they aren’t going off your taste they are going for what will make you the most money. The most important thing you need to remember is that how you live in your home is not how you are going to sell your home. When you are trying to sell your, you are selling your home as a product and not on how you live in your home. Yes how you have things set up in your is practical but a lot of times it is not practical on selling a home. Homes for Sale in Santa Rosa, are there any? Some people might say that there is no inventory in Santa Rosa right now, but I would say that depends on the price range you are looking and what your criteria is. What is surprising is that there is a lot of inventory, it just goes fast. If you are a home buyer you need to be ready for this market to make an offer because homes do not last in Santa Rosa, and for that fact in Sonoma County. The real estate market is hot and if the home is priced right than it will sell fast. There are plenty of home buyers out there right now, some have been looking for several months and are waiting for the right house or have been beat out of the market. There are a lot of ways to capitalize on this market if you are selling or buying. Interest rates are still low and it is important to get pre-qualified so you know what you can afford. Sellers want to make sure you are approved or they won’t even give you a second look in this market. Make sure you have proof of funds ready as well to show that you have the money available for your down payment. This will make you look like you are ready to buy, you are financially stable, and that you are a serious buyer. It is still a great time to buy and to beat out the competition you need to be prepared and ready to go! Contact Kimberly Sethavanish or James Colucci at Century 21 Alliance in Santa Rosa to get started! Check out this Windsor home for sale! This is a must see property. Are you moving to or in Sonoma County? Right now Sonoma County is experiencing a very lucrative market. We are seeing all different types of buyers: first time buyers, vacation home buyers, investors, empty nesters, and expanding family home buyers. Due to this variety of buyers and the factors of low interest rates, low prices, and busy season, we are experiencing a seller’s real estate market. Be Ready and Get Pre-Approved – If you are using a loan to purchase the home you will need a pre-approval letter to submit with every offer. Most importantly you do not want to over-extend yourself. It is always best to know what your budget allows. Keep your offer clean – Right now less is more when writing an offer in the sense of contingencies. A seller wants the least amount of stress and when you are competing against 10 other offers, a clean offer with minimal contingencies is more appealing. All transactions are different and all circumstances vary and that is why we are here. We can help you get the competitive edge with your circumstances and help you purchase a home! In a seller’s real estate market, a seller is receiving multiple offers, over-asking offers, and short time on the market. Houses are in high demand and if priced right, they will only last on the market for a week! This is not only happening in Sonoma County but all over the nation. I spoke with realtors in Southern California, Maryland, and DC. It a lot of areas all over the United States, this seems to be the trend. Will it stay like this? No one can predict the future, but if you are thinking about selling this could be the perfect time for you! 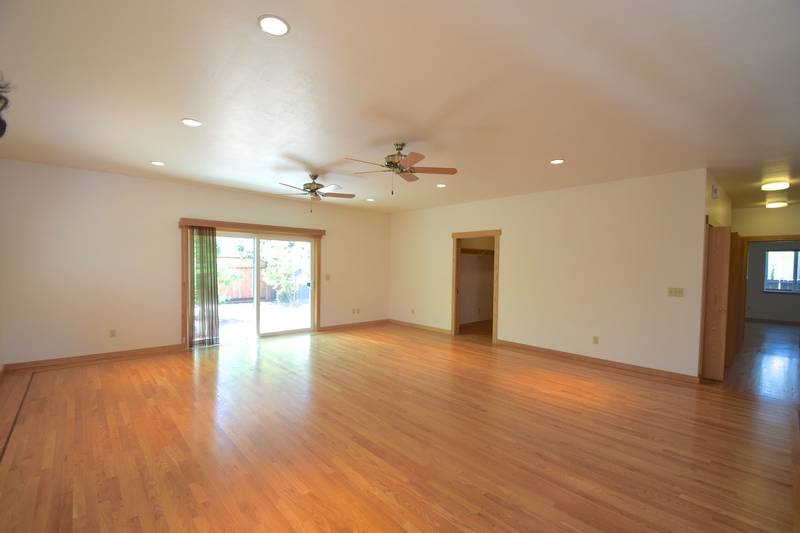 Staging – If your budget allows, we suggest staging. This can help a potential buyer imagine that this could be their home! Staging definitely helps appeal to more than one buyer. Vacant – It is best if you are not living there or are not present during showings. Homeowners in a house for sale can make a potential buyer feel uncomfortable and uneasy while viewing the property. We want them to feel comfortable and imagine that this could be their new home. It is difficult when the current homeowner is in the house. Sonoma County has a lot to offer as a place to live. We have the beautiful wine country in our backyard, the oasis of the Russian River, and the best part of Sonoma County is the people! Prices are still low and the investment right now is a great one. Prices are steadily increasing at the moment. If you have extra cash and are looking, Sonoma County is a great place to invest. Stay tuned and I will give you a case by case of what is happening in Santa Rosa, Windsor, Healdsburg, and Russian River. This way you can stay informed and get to know more about the Sonoma County’s real estate market! Kimberly and James went well beyond what I would expect from any agent. They were able to take a difficult situation and work with both parties to ensure their needs were being met and to successfully get through closing. I have and will recommend them to anyone I know and will be using them in the future for any real estate needs. They have a customer for life. " 2015 © Kimberly James Real Estate. CalBRE# 01915066. All Rights Reserved.